Notes: Heavily streaked with yellowish eyebrow and short, notched tail. Sexes are similar in plumage. One of our most common sparrows on the Katy Prairie. 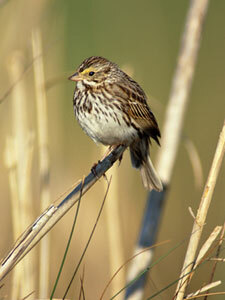 Savannah Sparrows are fast runners and often run rather than fly to escape observers.